For future growth, for future generations, and for a future Japan. “I will break down any and all walls looming ahead of the Japanese economy and map out a new trajectory for growth. The greatest structural issue facing the Japanese economy is the aging of society and shrinking of the population. However, we see this challenge as an opportunity. Demographic change is a social challenge that will soon be shared by most developed countries. Japan is committed to achieving sustainable growth and becoming a pioneer in the establishment of a new social model. 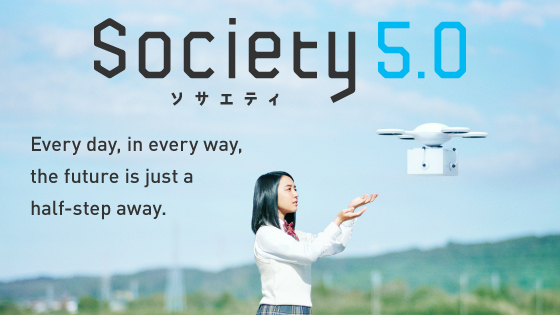 We call this Society 5.0, Japan’s vision for the next step in human evolution. 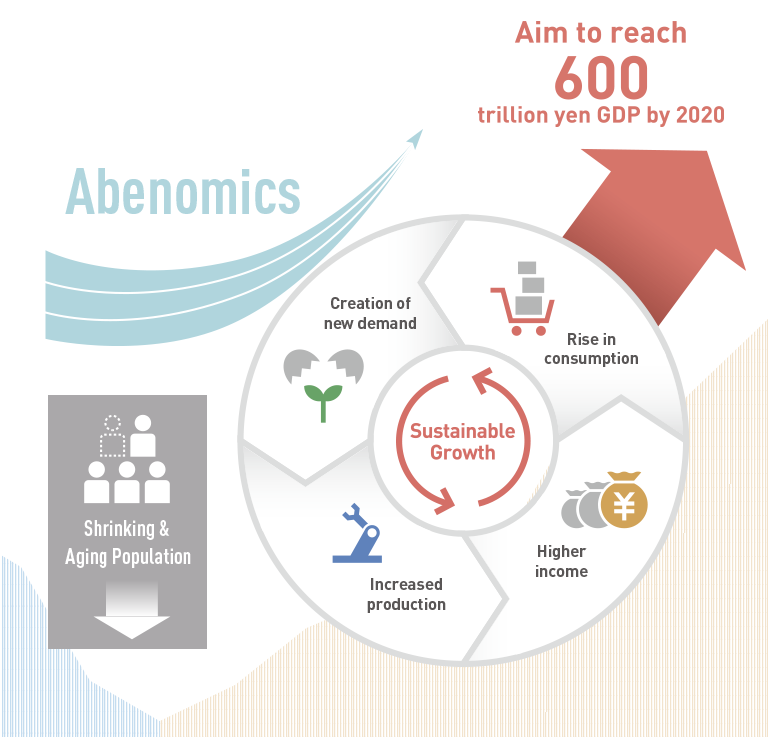 Implement comprehensive reform to accelerate an economic virtuous cycle, which will help grow GDP to 600 trillion yen. 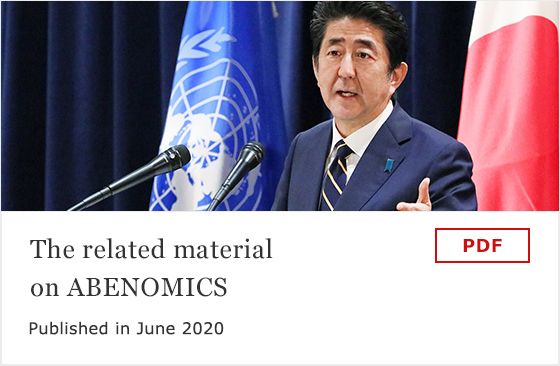 Solve social problems by utilizing Japan's vast volume of real data in tandem with cutting-edge industrial technologies.